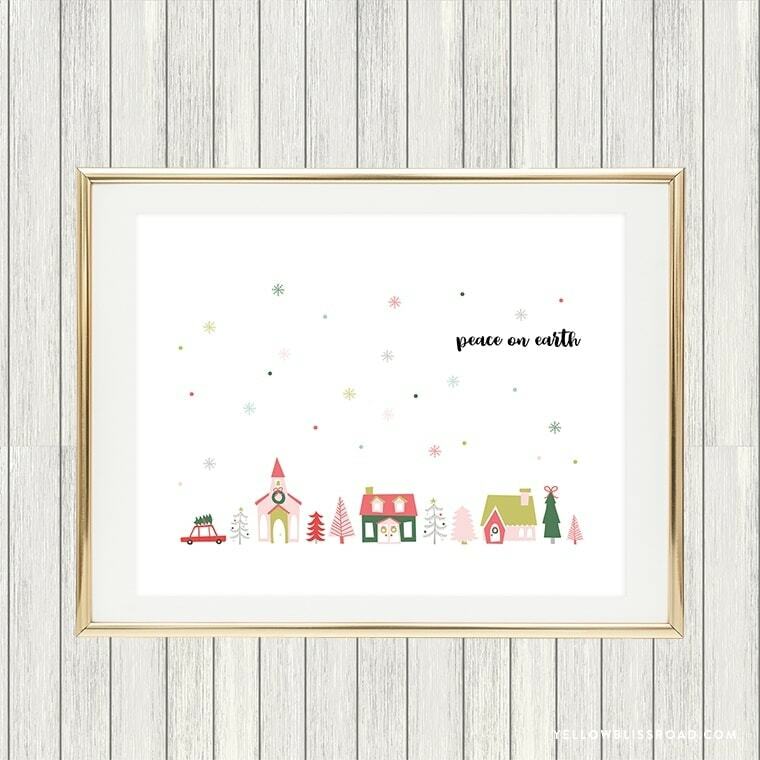 Free printable greeting cards are an inexpensive way to send a little love to friends and family. 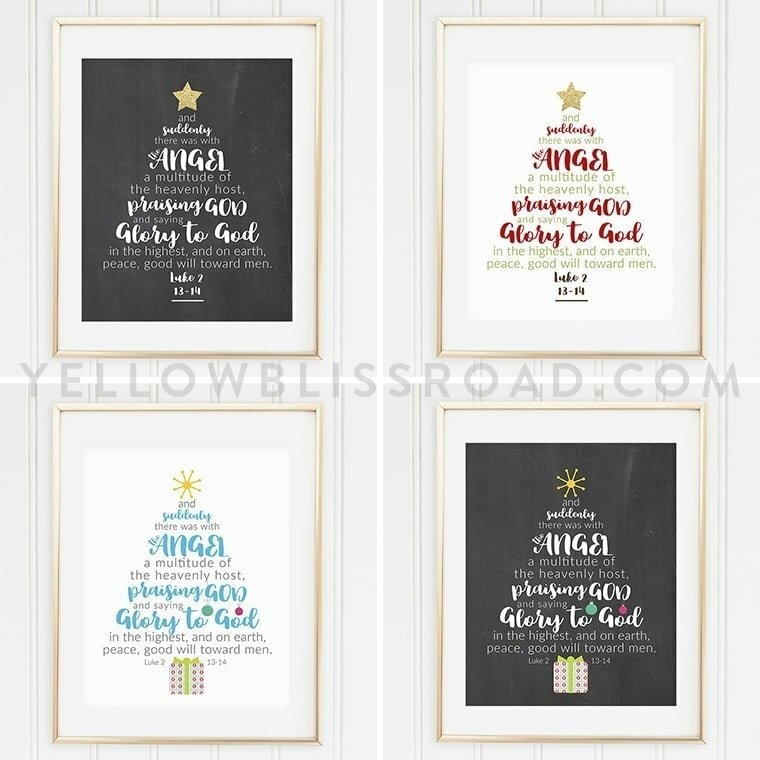 Plus, there’s an adorable free printable Christmas sign to hang in your home! Christmas is just 8 short weeks away…can you believe it?? This is the time of year when things start to get crazy around our house. We start decorating (yes, I am one of *those* people who decorates November 1), shopping for gifts is in full swing and I’ve started making lists of all the thing I want to get done during the holiday season using my handy-dandy Christmas Planner. Of course, we usually only do about a third of what I really want to, but that’s ok. The cards print out 2 to a page (preferably on cardstock and with a good quality printer) and you just cut them in half right down the middle. Fold each card in half, write your message inside and send! Easy Peasy! I loved ths design for this card so much that I made it into a frameable sign, too. Size is 8×10″ and print recommendations are the same as the cards. CLICK HERE TO DOWNLOAD THE 8X10 SIGN. CLICK HERE TO DOWNLOAD THE GREETING CARD. But wait, there’s more! (I’ve always wanted to say that). 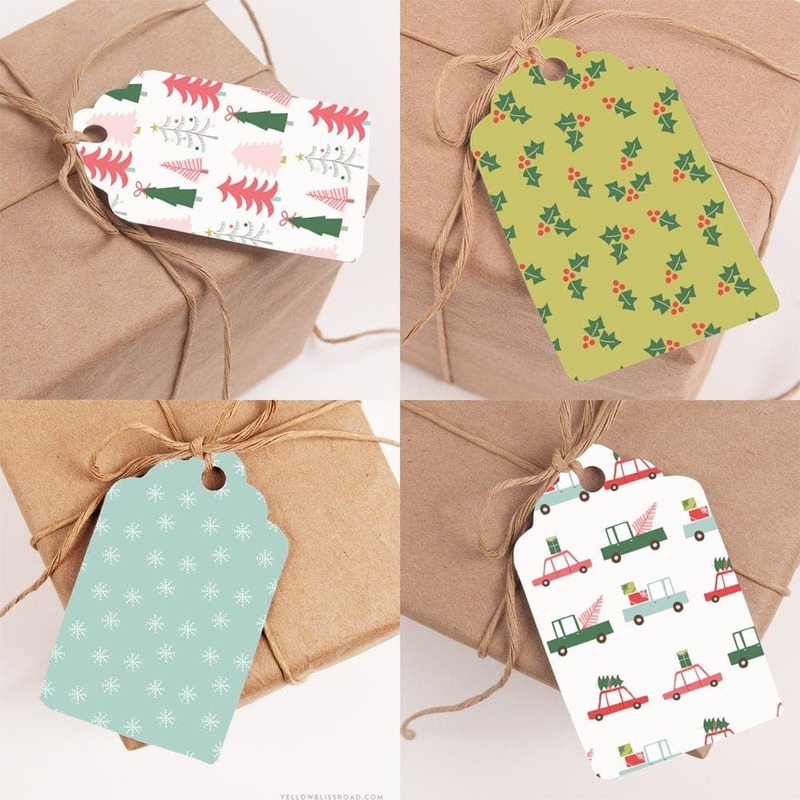 Over on I Heart Nap Time today you can grab some coordinating gift tags as well! 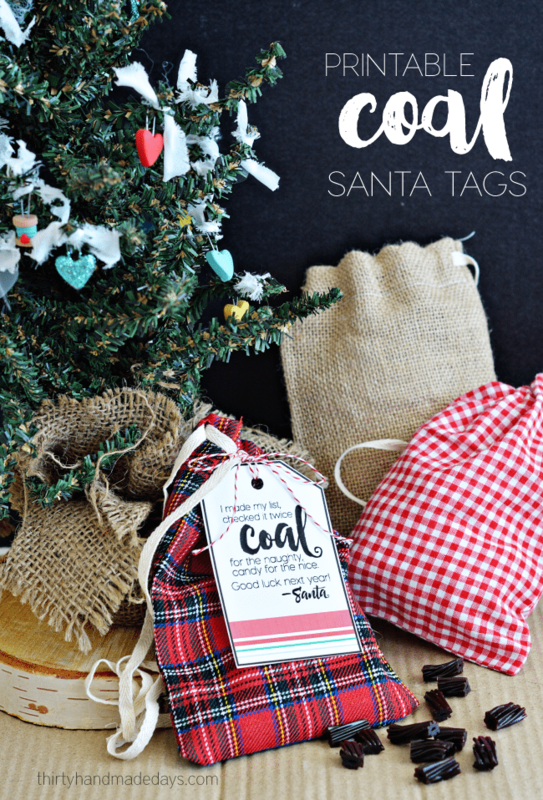 I hope these freebies help you along your way to Christmas organization! 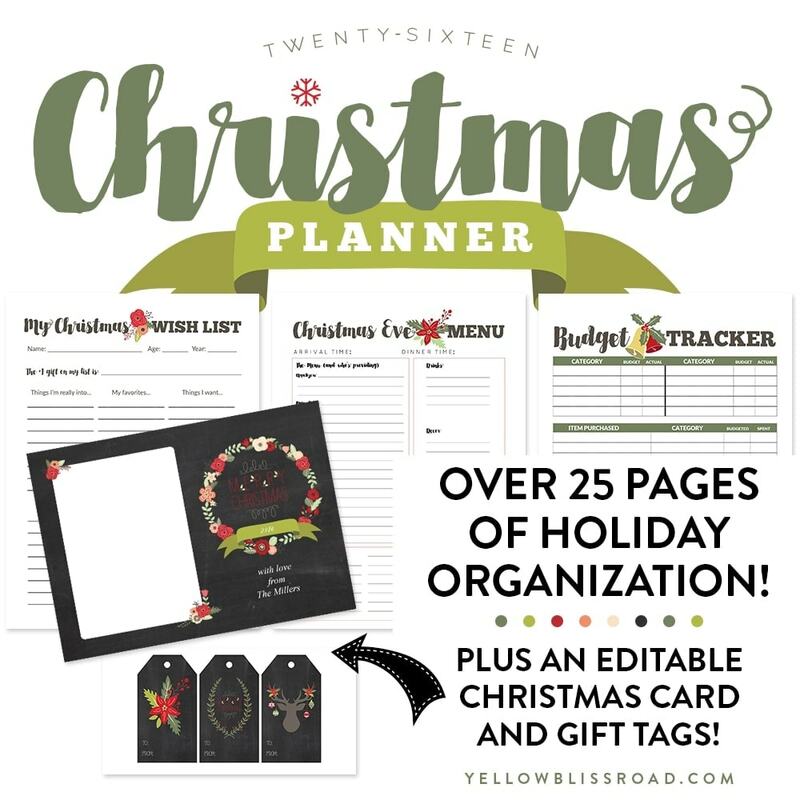 If you’re still needing a little help, be sure to check out our 2016 Christmas Planner, full of over 25 pages of planners, trackers and even an editable Christmas card and tags! 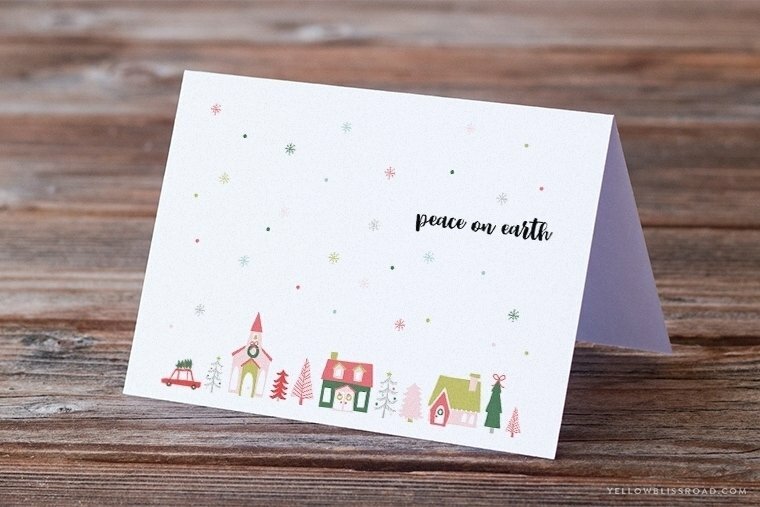 Kristin, thank you for the Peace on Earth freebies! They’re so lovely. 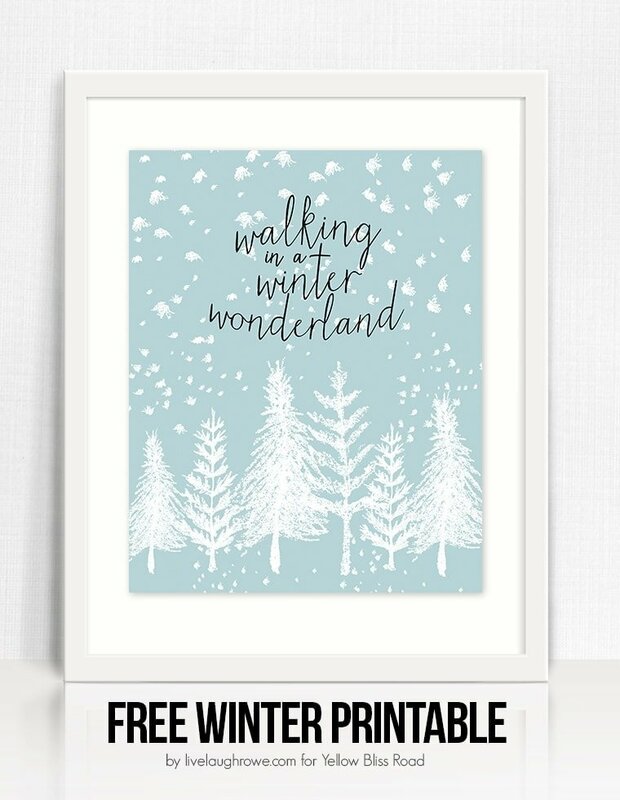 I just wanted you to know that I’ve shared your printables on my blog. It will be posted tomorrow. I can’t get the 8X10 print to work. It seems that both links are for the cards? Thanks! I love the print btw. Sorry! It’s been updated with the proper links to the downloads. Thanks!